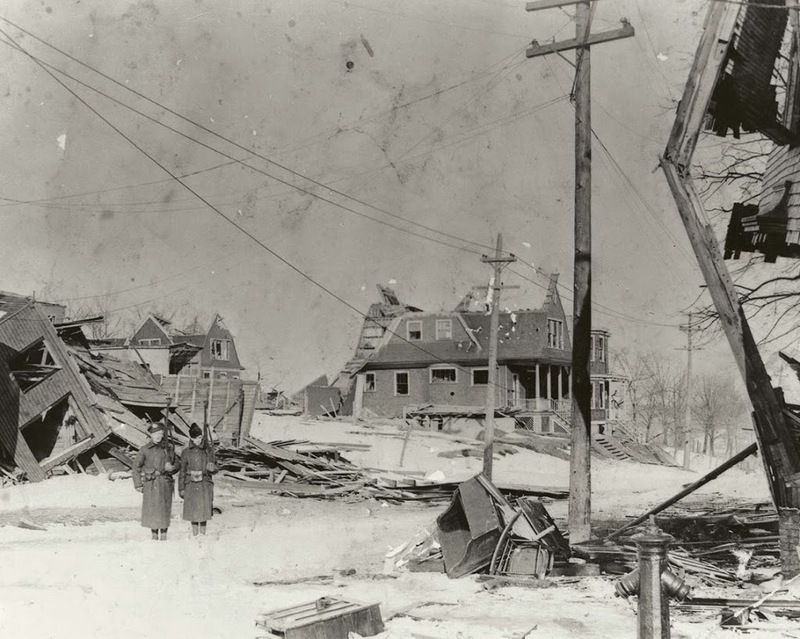 Looking east down Kaye Street from Gottingen Street in Halifax, Nova Scotia, in December 1917 or early 1918, following the Halifax Explosion. Photo courtesy of the Nova Scotia Archives. 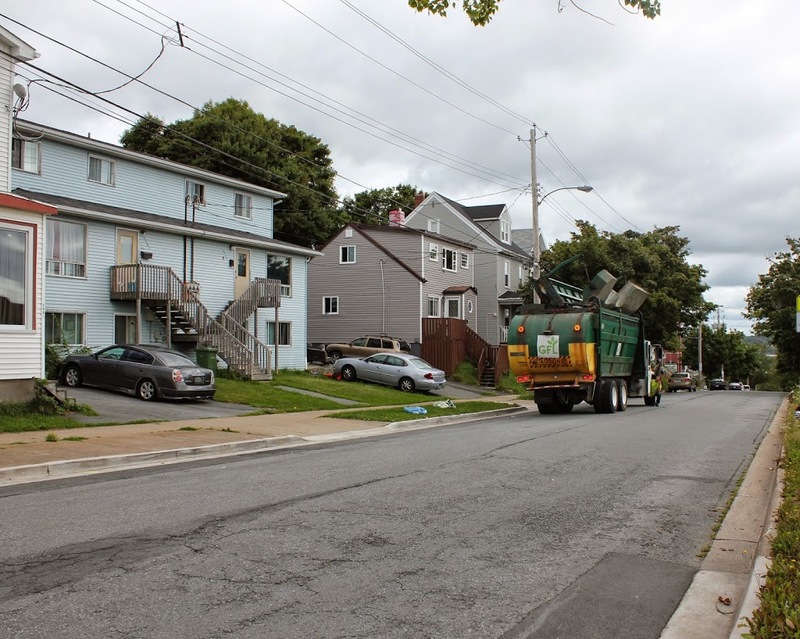 This neighborhood is located just up the hill from the epicenter of the Halifax Explosion, and its appearance is typical of what much of this part of the city looked like after the disaster. Here, two soldiers are standing guard to keep looters out – residents needed a pass in order to gain entry to the affected areas. Today, the neighborhood is entirely reconstructed, with no sign of the disaster that hit here almost 97 years ago.